I'm entering this card in two challenges, Less is More's Neapolitan color challenge and CASology's Medical theme. The "strawberry" on the background is Gina K, the cardstock is my "vanilla" and the doggie, from Hero Arts, is Stampin Up! chocolate chip. The stamped sentiment is from Cathy Zielske. Thanks for looking! Terrific card, Kathy! Thanks for playing along with us at CASology this week! 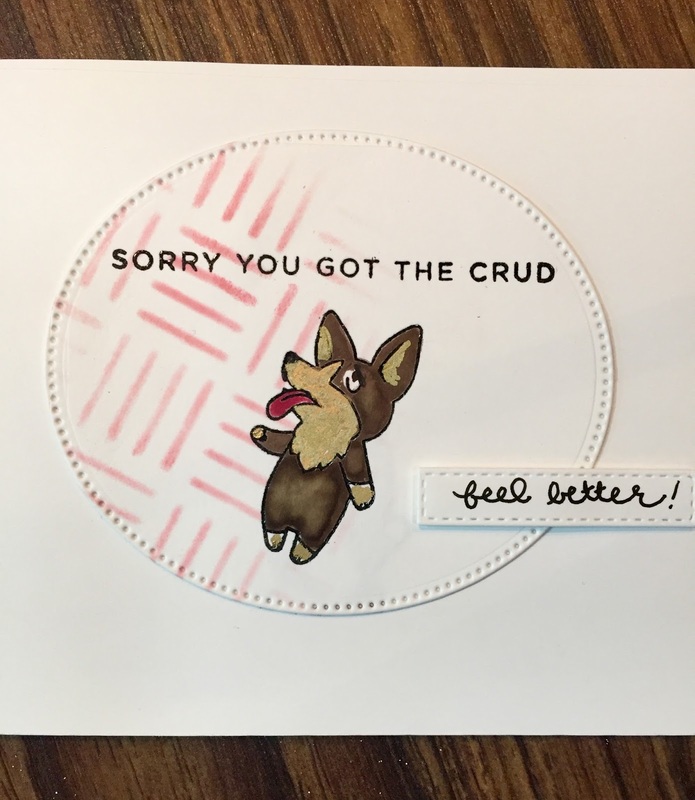 Fabulous card, Kathy ! This doggie is so cute ! Love the delicate pink background and the design ! A perfect CAS card combining these two challenges ! Thanks so much for sharing and for playing along with us at Less is More ! Adorable card, .Kathy. This would brighten up anyone's day, especially someone who's not feeling well. Thank you for playing along with us this week at Less is More. What a cutie and a delightful use of our ice cream colours. Love the added detail from your stencilling and Thanks for playing along at Less is More this week. Love the layout and what a great use of our challenge colours. Guaranteed to make anyone feel better.